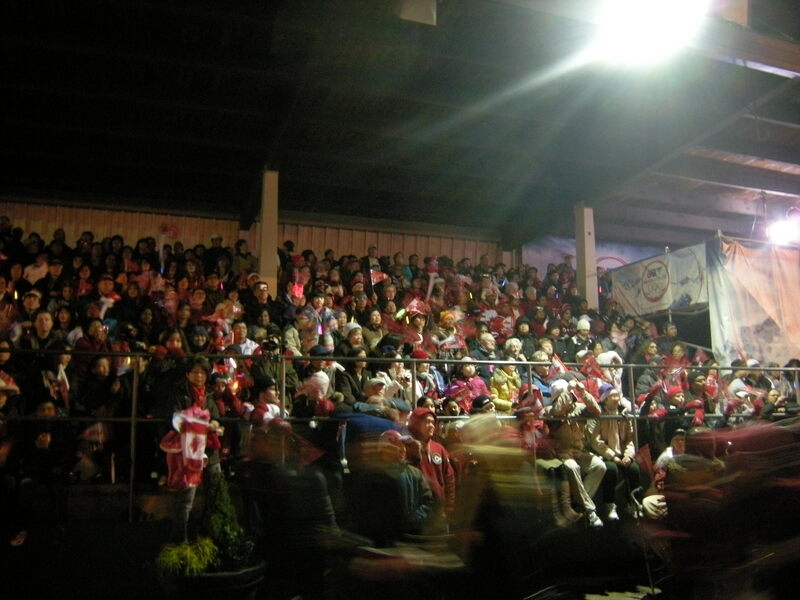 Words cannot describe nor capture the emotions I experienced in the past 2 nights: First at the Richmond Ozone, where the Olympic Flame community cauldron was lit by Rick Hansen; then at B.C. 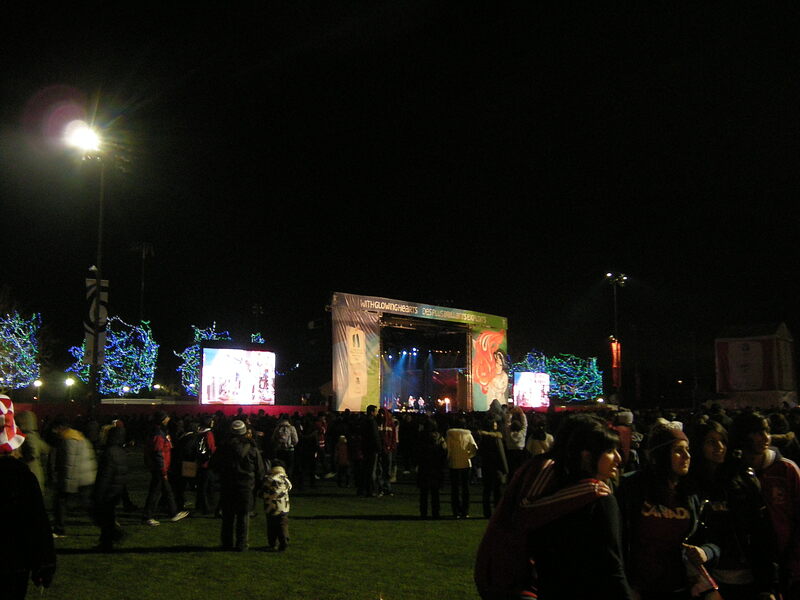 Place where the Opening Ceremony dress rehearsal took place. The atmosphere at the Ozone was surreal and it’s amazing how the entire community have come together and embraced such a simple flame. It makes me wonder why. Is it magic? Is it a symbol of hope? Perhaps it’s different for each one of us and that in itself, is maybe why the Olympic flame is so special. Sorry that I couldn’t share anything about the rehearsal as 50,000 of us are under a gag order. But I can honestly say that I was entertained, surprised and moved by what I saw. Come Friday evening, I think Canadians all across the country would be proud of this ceremony. 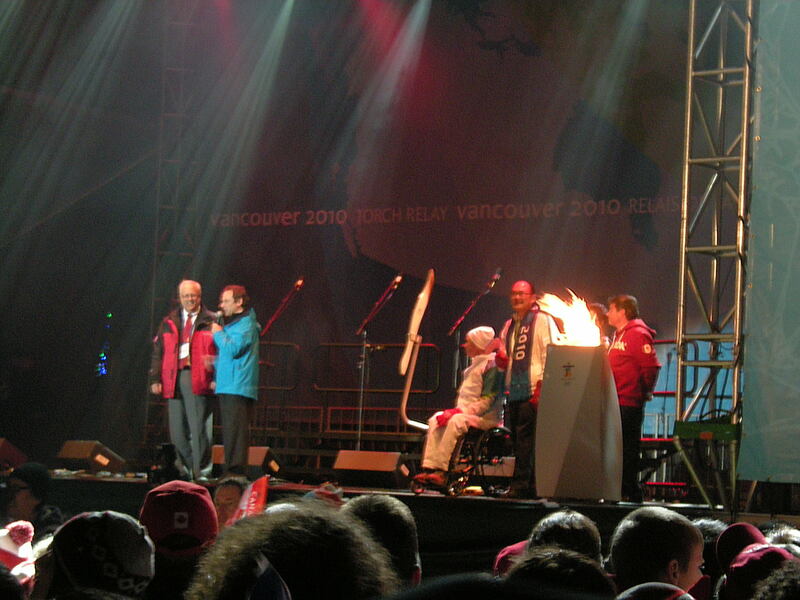 Rick Hansen carries the Olympic Torch and lighting the community cauldron.